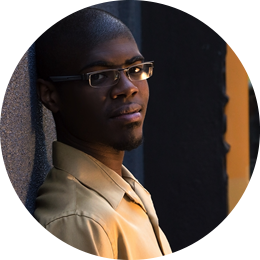 CJ has been named the first place winner of the 2010 and 2012 North Carolina MTNA Young Artists Competition as well as the 2013 winner of the East Carolina University concerto competition. Mr. Collins currently serves as principal cellist of the University Orchestra at Indiana University. 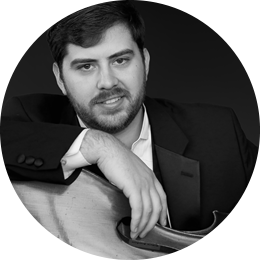 He has also played in the Fayetteville Symphony Orchestra and been the principal cellist of the East Carolina University Symphony Orchestra. CJ has attended the Beethoven Institute at Mannes College in New York City, Burgos Chamber Music Festival in Spain, Summit Music Festival, Madeline Island Music Camp, Eastern Music Festival, and Holterfest in Italy. Also, as an avid chamber musician, CJ has performed several times as a student with Four Seasons Chamber Music Festival’s Next Generation concert series. He has performed in many masterclasses including; Zuill Bailey, Colin Carr, Timothy Eddy, Amit Peled, and Zvi Plesser. This past February he was invited back to perform with the festival as an Alumni Artist. Cameron received both his Bachelors of Music and Certificate of Advanced Performance Studies from East Carolina University under the tutelage of Emanuel Gruber. He is currently pursuing his Master’s degree in music performance at the Jacobs School of Music at Indiana University and studying with Eric Kim. CJ plays on a German cello graciously loaned to him by the Virtu Foundation. 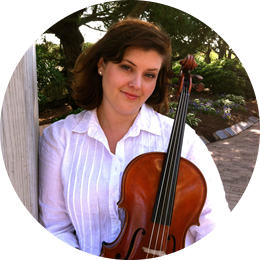 In addition to her love of standard violin repertoire, Katherine has immersed herself in the world of new music. She has given premiere performances for many composers, including Matthew Lyon, Scott Rubin, and Faustino Solis. This love of contemporary music is largely inspired by her close relationship with composer Rafael Valle, whose “Bereceuse” is dedicated to her. Venturing beyond even the classical universe, Katherine collaborates frequently with her friends in the pop and jazz worlds and often performs with New York neo-folk quintet Ransom Pier. Dennis has not only distinguished herself as a performer, but also as a teacher. During her undergraduate career, she received two years of intensive Suzuki teacher training and maintains her registration for all 10 Suzuki Books. 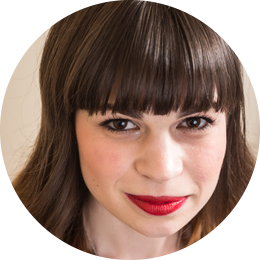 Katherine holds a bachelor’s degree from the Fletcher School of Music at East Carolina University, where she studied with Ara Gregorian, and a master's from McGill University’s Schulich School of Music under the tutelage of Axel Strauss. Other teachers throughout Katherine’s career have included Jennifer Koh, Yeohanotan Berick, Rodney Friend, Regis Pasquier, Soovin Kim, Yuri Kim, Julian Martin, Kathryn Lucktenberg, Felicia Moye, Lucy Robert, John McGrosso, Ken Goldsmith, and David Gillham. Katherine is currently enrolled in Hunter College's Lincoln Center Scholar Alternative Certification Program. She will begin working in the NYC public schools fall of 2015, while pursuing a Master's in Education. Mr. Ferrara began his formal training at the age of twelve with the esteemed pedagogue, Dora Marshall Mullins. 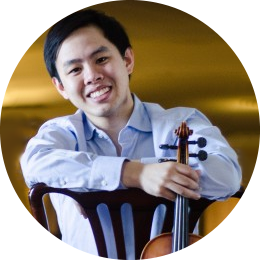 As an undergraduate he continued his studies under Dr. Wanchi Huang at James Madison University, where he won first prize in the concerto competition. He later transferred to East Carolina University to continue his studies under the prominent chamber musician and pedagogue, Ara Gregorian. As a passionate chamber musician, Mr. Ferrara has performed in many respected music festivals including the Four Seasons Chamber Music Festival, Beethoven Institute, Bayview Music Festival, and the prestigious Meadowmount School of Music. He has collaborated with much-admired artists such as Robert McDonald, Benjamin Hochman, Nick Chords, Min-Young Kim, Melissa Reardon, Paul Watkins, and Philip Setzer. Partnered with the Governor’s School of the Arts, he is the Founder and Artistic Director of the Ferrara Chamber Music Festival based in Norfolk, VA which seeks to give young blossoming artists the opportunity to learn, teach, and perform many of the great masterpieces. 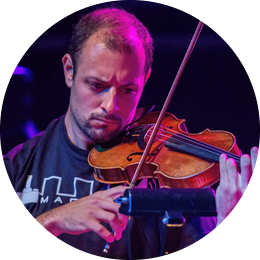 Combining his love for chamber music and video games, Mr. Ferrara is also a founding member and first violinist of the Triforce Quartet. The video game quartet has gained international acclaim and concertizes throughout the US and abroad performing at large conventions including the Smithsonian Institute’s Video Game Exhibition, MAGFest, PAX, and most recently at the US Ambassador O’Malley’s residence in Ireland as representatives of the iDig Music Festival. 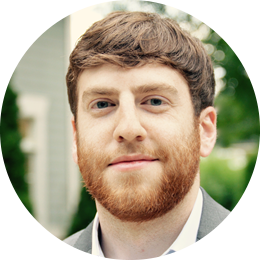 As a teacher, Mr. Ferrara has taught privately for over fifteen years and has given master classes in chamber music throughout the East Coast. He was the distinguished violin professor at the Shenandoah Valley Academy School and has taught undergraduate chamber music at Stony Brook University. He presently on faculty at the Music Academy of Long Island based in New York as a violin/viola/chamber music instructor. Mr. Ferrara received his Bachelor’s degree from East Carolina University and completed his Master’s degree at Stony Brook University. He is now pursuing his Doctoral of Musical Arts in Violin Performance at Stony Brook University under the tutelage of the Grammy-award-winning Emerson Quartet and world-renowned pedagogue, Hagai Shaham. Susan C. Ha is an active soloist, chamber musician, and orchestral soloist throughout the United States. Solo performances have included concerto appearances with the New River Valley Symphony Orchestra, Shenandoah Conservatory Symphony Orchestra, and the James Madison University Symphony Orchestra. In 2014-2015, she has appeared twice in the Carnegie Hall in New York, performed in nine concerts at the Interlochen Center for the Arts, and presented lecture-recitals at the Intercollegiate Music Society and the College Music Society's conferences. Upcoming performances include presenting a solo recital at Blue Lake Fine Arts Center, collaborating with the associate concertmaster of the Kimpo Philharmonic Orchestra from Korea, and performing with members of the Virginia Symphony Orchestra. As an arts advocate, Susan co-founded the Glendale Fine Music in the southwest of Ohio in 2011 and served the program as its musical director. Around this time, she re-instated the Challenging Performances Series in Cincinnati for its 10th season. With her leadership as the artistic director of the CPS, the Young Artist Pre-Concert was established to offer debut opportunities to talented pianists in the greater Cincinnati area. She earned her MM in Piano Performance and DMA in Piano Performance with cognate areas in Music Theory and Piano Pedagogy at the University of Cincinnati College-Conservatory of Music studying with Awadagin Pratt. Her BM with honors is from James Madison University. Her other teachers include Eric Ruple and Hae-Won Min. Dr. Ha has taught at the Blue Lake Fine Arts Camp, The Lincoln University, and the University of Cincinnati while working closely with Michelle Conda. 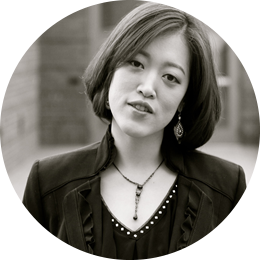 In August 2014, Dr. Ha joined the music faculty of Norfolk State University as an Assistant Professor of Piano where she is also serving as the Coordinator of the Piano Area. Mujan Hosseinzadeh is an active chamber musician, soloist and orchestra performer. She is the winner of various competitions in Italy and has performed throughout Europe, Asia and the United States. Mujan has played alongside renowned soloists such as Yuri Bashmet, Boris Belkin, Leonidas Kavakos and David Garret. She has attended various international festivals, including the "Accademia Russa di Alto Perfezionamento" in Portogruaro (Italy) and the "Accademia Musicale Chigiana" in Siena. In addition, she has studied in masterclasses with many of the greatest violists of the current age, including Yuri Bashmet, Bruno Giuranna, Yuval Gotlibovich, Ettore Causa and Danilo Rossi. Mujan has performed under the direction of famous conductors with various orchestras, including "Orchestra dell'Accademia of Teatro alla Scala" in Milan and "Philharmonic Orchestra of Turin" both as a principal viola, "Orchestra Arena di Verona" as viola tutti, "Orchestra da Camera di Genova" as a soloist, New England Symphonic Ensemble and the "New York Symphonic Ensemble" where she has been working since 2011 playing in the most famous concert halls in major cities in Japan. She has been working with conductors including, Riccardo Muti, Zubin Mehta, Daniele Gatti, Ottavio Dantone, Arturo Tamayo in Italy and Jeffrey Milarsky, George Manahan and David Gilbert in the U.S.
Mujan has performed in New York at Carnegie Hall, Metropolitan Museum of Art, Symphony Space Concert Hall, W.M.P Concert Hall and has had collaborations with the Lyric Chamber Music Society of New York as well as performances with the members of Emerson String Quartet and solo recitals at the Staller Center for the Arts. The concert halls and venues she has performed around the world include Laeiszhalle in Germany, Teatro alla Scala in Milan, Parco della Musica in Rome, Maggio Musicale Fiorentino Concert hall in Florence, Teatro Verdi in Florence, Ancient Theatre of Taormina, Teatro Romano in Fiesole, Bargello National Museum of Florence, Galleria dell'Accademia of Florence and inside the Colosseum in Rome. In Japan she has performed in Bunkamura Orchard Hall in Tokyo, Biwako Hall, Acros Fukuoka and Sapporo Concert Hall. Currently she is working on her Doctorate degree at the Stony Brook University with Lawrence Dutton and Nicholas Cords. Born in Taiwan, Sheng-Ching Hsu made her first public appearance at 6 at the National Cheng-Kung University as both a violinist and a pianist. She recently performed in Lincoln Center, Carnegie Hall, Teatro Municipal de Santiago, Chile, Remonstrantse Kerk in Alkmaar, The Netherlands, and National Recital Hall, Taiwan. Sheng-Ching has won the first prize in numerous competitions including Flushing Young Artist Competition, Asia Pacific Cup Music Competition, Tainan Music Association Competition, Tainan Municipal Cultural Center Competition and the National Tainan Senior High School Concerto Competition. In 2001, Sheng-Ching won the Tainan National Music Competition as the youngest participant on violin, and on composition a year later. Sheng-Ching’s exceptional talent has led her to stages throughout Aisa and attracted the attention of Yamaha and Kawai. She is a scholarship recipient of the both companies. 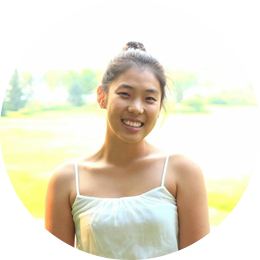 Sheng-Ching enjoys playing chamber music, orchestra, as well as solo recitals. She just had a successful duo tour in Taiwan with pianist Mr. Gustavo Miranda-Bernales in January, 2015. She has appeared as a chamber musician at Carnegie Hall, Hershey Theatre, Consulate General of India in New York, Bohemian National Hall and more. Sheng-Ching is also a member of New Asia Chamber Music Society. Sheng-Ching is a core member of Ensemble 212, and had served as principal violinist in Mannes Orchestra and Manhattan Symphonie Orchestra. Her other orchestral experience includes Tainan City Orchestra, ChiMei Orchestra tour in China and Taiwan in the 2005-2006 season. Sheng-Ching has given solo recitals in Europe, America, South America and Asia, and has performed with Ensemble 212 and Old York Road Symphony as a soloist. In addition to her work as a violinist, Sheng-Ching is also an arranger. She arranges a wide variety of music, including classical, film, popular, gospel. She has arranged for ensembles such as the Amphion String Quartet and the Manhattan Symphonie Orchestra. She was invited to arrange for the music for national conferences of Campus Evangelical Fellowship in Taiwan for the seasons 2009 and 2010, as well as the annual concert at the Carnegie Weill Recital Hall of Manhasset School of Music since 2012. Teaching is also a big interest of hers, Sheng-Ching has been teaching at Manhasset School of Music as both violin and piano instructor, as well as the collaborative pianist of the school annual concert at the Carnegie Weill Recital Hall. 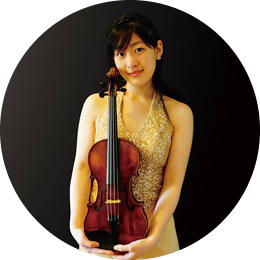 Sheng-Ching studied in the Juilliard Pre-College Division where she served as the concertmaster of the Pre-College Orchestra, and studied with Itzhak Perlman and Catherine Cho. Sheng-Ching’s former teachers include Yu-Wen Chen, Shirley Givens, I-Chen Wang and Li-Wen Wang. She has participated masterclasses by Chinn-Horng Chen, Victor Denchanko, Nacham Erlich, Mikhail Kopelman, Soovin Kim and Joseph Silverstein. Sheng-Ching earned her Bachelor of Music Degree with scholarships from the Mannes College of Music, studying with Aaron Rosand and Christina Khimm. Sheng-Ching graduated from The Juilliard School for her Master’s Degree under the instruction of Catherine Cho, with the generous support of Irene Diamond Graduate Fellowship. Sheng-Ching is pursuing her Doctoral of Musical Arts at SUNY Stony Brook University, under Phil Setzer and Arnaud Sussman. 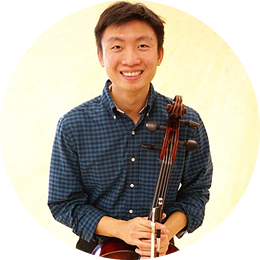 Joshua Huang is a senior at the Eastman School of Music and University of Rochester pursuing violin performance and biology. He currently serves in a principal rotation for Eastman philharmonia and was recently in the National Repertory Orchestra. An avid outreach musician, Mr. Huang also sings with the a cappella group The YellowJackets, which were featured on season 3 of NBC’s The SingOff. Past studies have included the Cavani, Julliard, and Ying Quartets and Christian Teztlaff. His primary teachers include Jeanette-Drinkall Meyer and Oleh Krysa. Outside of academia, he loves to run, swim, hike, and take pictures of his daily meals. Hee Yeon Kim is a senior this fall pursuing Bachelor of Music in violin performance under the tutelage of Professor Mark Kaplan. She began playing chamber music through Junior Chamber Music where she has worked with the members of Martin Chalifour, Robert Gupta, Robert Cani, and Lorenz Gamma. Her chamber music studies furthered at IU where she has worked with the members of the Pacifica Quartet, Kapelle Trio, Kurt Muroki, and Mark Kaplan. Outside of school, she has worked with Ariana, Jupiter, American, and Penderecki Quartets. She is also an ardent orchestral player and has collaborated with Jorja Fleezanis and Alex Kerr. She is currently a contracted section violinist with the Columbus Indiana Philharmonic and Terre Haute Symphony Orchestra. 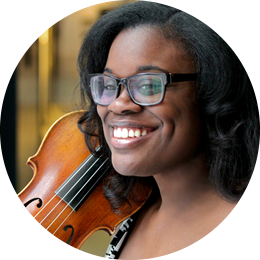 Brittany Nelson, from Virginia, began playing the viola at the age of 9. Her passion for music was further developed by her exposure to chamber music, which compelled her to earn a Bachelor’s of Music degree in 2010 from James Madison University, studying with Amadi Azikiwe. 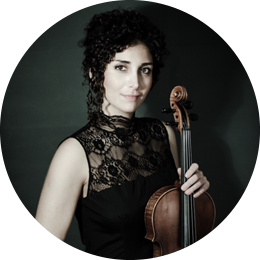 She has since earned a Master’s degree from Michigan State University in viola performance, under the guidance of Yuri Gandelsman, and served as principal viola for the university’s symphony. Brittany has attended numerous music festivals, including the National Symphony Orchestra’s Summer Music Institute and the Killington and Bay View festivals. She has performed in various concert halls throughout the United States and abroad, including the Kennedy Center and Carnegie Hall. After freelancing and establishing her own studio for violin and viola in the Washington D.C./Metro area, Brittany moved to Chicago and currently plays with the Midland and Jackson Symphonies in Michigan and freelances in the Chicago area. Jesse Smith is a graduate of East Carolina University, and studied under Emanuel Gruber. Before attending the university, he was a member of the Helena Symphony conducted by Alan R. Scott and studied cello with Thad Suits. While at East Carolina University, he participated in many masterclasses with cellists such as Richard Aaron, Timothy Eddy, Colin Carr, Michael Kannen, Amit Peled, and Raman Ramakrishnan. While at ECU, Jesse was selected to participate in several of Ara Gregorian's Four Seasons Next Generation concerts where he has had the opportunity to perform with many professional artists. During several summers, Jesse has attended music festivals such as the Beethoven Institute and the Masterworks Festival. He is currently attending Stony Brook University where he studies under Colin Carr and is pursuing his Masters in Music Performance. For pianist Kyle Walker, every little detail matters. This stems from his belief that music can deal with social issues better than verbal language can, the understanding of which he brings to both traditional Western repertoire and that of the living world-wide composers with whom he collaborates. His performances have been featured on media broadcasts including WQXR’s Mcgraw Hill Financial Young Artists Showcase, NPR’s Public Radio East, and UNC-TV, to name a few. Recently, he made his solo debut at New York’s Weill Hall at Carnegie Hall, performed the Schumann piano concerto with the East Carolina University Symphony Orchestra, as well as presenting solo performances at Steinway Hall NYC, The Metropolitan Opera Guild, Birmingham Jefferson Concert Hall in Alabama, The National Opera America Center, and the innovative music and multimedia venue Spectrum NYC. His festival performances include the Tibor Varga Music Festival, Switzerland, The Four Seasons Chamber Music Festival, NC, The Ferrara Chamber Music Festival, VA, Enso Chamber Music Festival, CT, the Beethoven Institute, NYC, and PianoFest in the Hamptons, NY. Mr. Walker is the 1st prize winner of the 2013 Bradshaw and Buono International Piano Competition, also having taken 1st prize in The National Talent Hunt of Omega Psi Phi, and the Greensboro Music Teachers Association Young Artists competitions. As a chamber musician, he is a frequent collaborator in premiere performance projects with living composers such as Brian Erickson, Matthew Lyon, Timothy Messina, and Joan Szymko, whose work he premiered at the American Choral Directors Association in Memphis TN. Walker performs with the newly founded “Artists By Any Other Name” based in NYC. The group endeavors to increase the accessibility of classical music by encouraging it’s symbiosis with other art forms, including dance, drama, poetry, and visual art. Mr. Walker has performed in master classes with world-class presenters including Manahem Pressler, Joseph Kalichstein, Boris Berman, Robert McDonald, Paul Schenly, Adam Neiman and Julian Martin. A dedicated teacher, Walker maintains an extremely active teaching studio compiled of private students as well as on piano faculty at Fort Lee School of Music, The Music School of New York City, and the Wifi Music School. Kyle Walker received his Masters of Music from Mannes College, The New School for Music under the tutelage of Thomas Sauer. He holds a bachelor’s degree from East Carolina University and has studied with Benjamin Hochman, Keiko Sekino, Henry Doskey, and Clifton Matthews. Walker has received generous support of his upcoming artistic endeavors from the Peter M. Gross Fund.